Thank goodness Friday is almost here, it’s been a week! I left work early yesterday to spend time with a family member during a cardiac event in the ER and ended up staying there for many hours until they were settled into a room for the night. Luckily the hospital had decent WIFI and I was able to fire up movies on Netflix for them which helped distract from a long, scary, and draining evening! 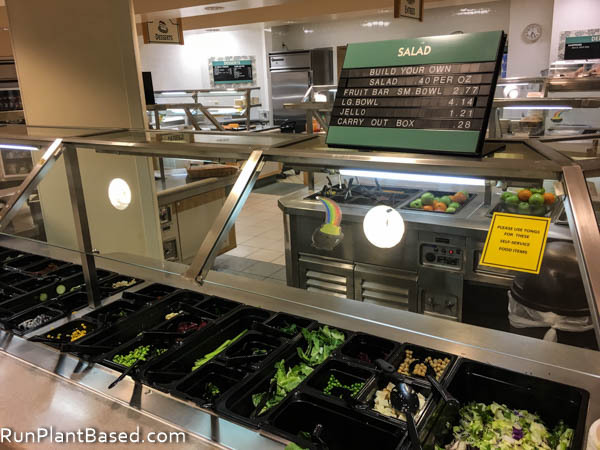 And I was able to sneak away to grab a late dinner from the cafeteria where they had a picked through salad bar. 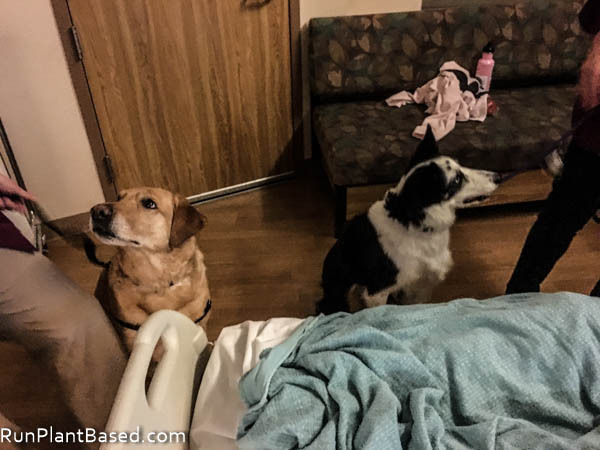 When I got back to the room with dinner, sweet and mellow therapy dogs were making the rounds to visit patients. I wanna be a therapy dog volunteer! 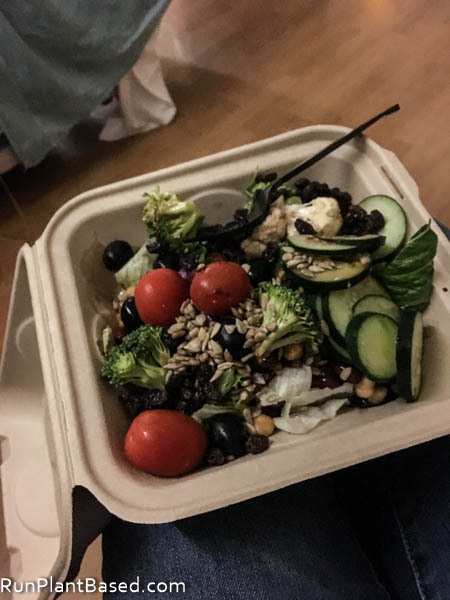 I enjoyed a simple and large salad with beans, fresh veggies, and just balsamic vinegar for the dressing since I was not thrilled with the junky selection of dressings. And a Mango Coconut KeVita that was sweet and very flavorful for only having 40 calories. I got home late to a chaotic house of dogs since we’re watching my mom’s dog with ours and he’s still not sure about being stuck with us away from his mommy. But he sure does like to kiss Miko and compete for Miko’s attention which Miko isn’t sure about. And he decided he would only sleep in bed with us or whine beside our bed all night, so it required a little extra patience to get settled! Thankfully things are getting back to normal, family is out of the hospital and home recovering. And good thing the weekend is almost here after a perfect storm of chaos this week has been! I’m honestly impressed that you were able to find a salad bar there in the first place! 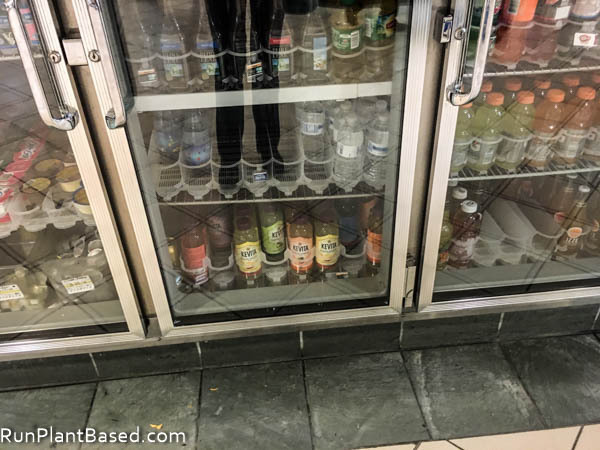 It’s such a shame that healthy food is still so hard to come by in hospitals, where it’s really needed most. Agreed, it wasn’t an exciting salad bar but it got the job done. The patient meal they brought was pretty scary with just one small serving of broccoli and the rest not so healthy. I’m shocked that you were able to find such food at a hospital! That is not what my hospital food looks like. Nor have I ever seen a dog in a hospital before. Although I think I might want a cat? I know, not really possible. I bet your dog was super jealous when you got home! Mine always freak out when I smell like other dogs. Me too, it was a decent salad bar considering and many, many times better than the patient meal they brought – ugh! 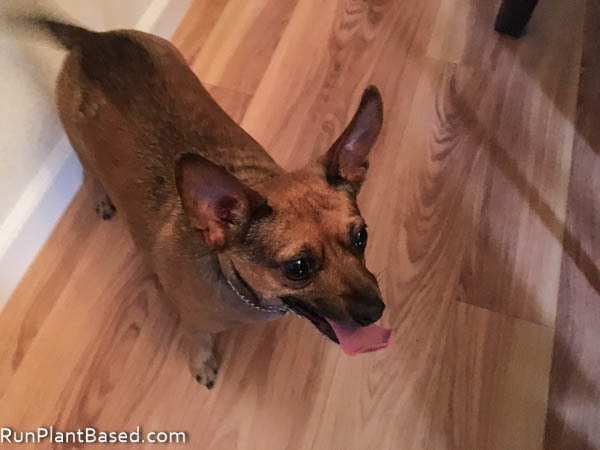 I was impressed that the dogs arrived so shortly after they were checked into a room, really cute and sweet. Cats would be a challenge, lol, I can just see trying to walk mine on a harness! I’m so glad your family member is doing okay now. That must have been very stressful. I can’t believe the good food you found at a hospital. I was just visiting a family member at a hospital a few weeks ago and the food was horrific. 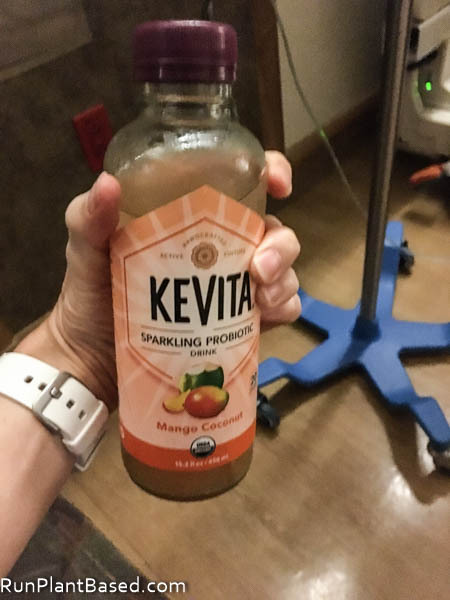 The Kevita was an awesome find. And I love how they had therapy dogs visiting. I know nothing lifts my spirits like animals do so it’s nice to see they are visiting people that need a pick me up in hospitals. Thanks and ugh, spending time in the ER is very stressful. I was impressed too with the food, it wasn’t super exciting and there were plenty of bad choices too. But at least there was a nice selection of fresh ingredients. Me too on the therapy dogs, really sweet and fun during a tough time. Poor pup, it’s always scary when their favorite person isn’t there for them at bedtime. Thanks, me too! Totally agreed on hospital food, the salad bar was okay and I was thankful for it. But there were plenty of terrible choices in the cafeteria too and the patient meal was not awesome for healing that’s for sure! Very true, he eventually settled on our bed and stayed all night. Poor guy.